Designed with an eye catching 5.7" HD+ 18:9 Curved Glass display, the STUDIO VIEW XL provides a wide screen cinematic palette for all your movies and pictures. With a 720 x 1440 resolution and 282ppi, the STUDIO VIEW XL will leave you astonished. Experience all your images with incredibly vivid hues and sharp clarity. The STUDIO VIEW XL incorporates the latest in display technology with its HD+ 18:9 ratio layout. Thinner bezel and longer format, the STUDIO VIEW XL enables user to grab the phone with better hand held experience. Make every moment picture perfect with the STUDIO VIEW XL’s 13 Megapixel camera with flash and 5 Megapixel front selfie with flash. All pictures will look incredible. 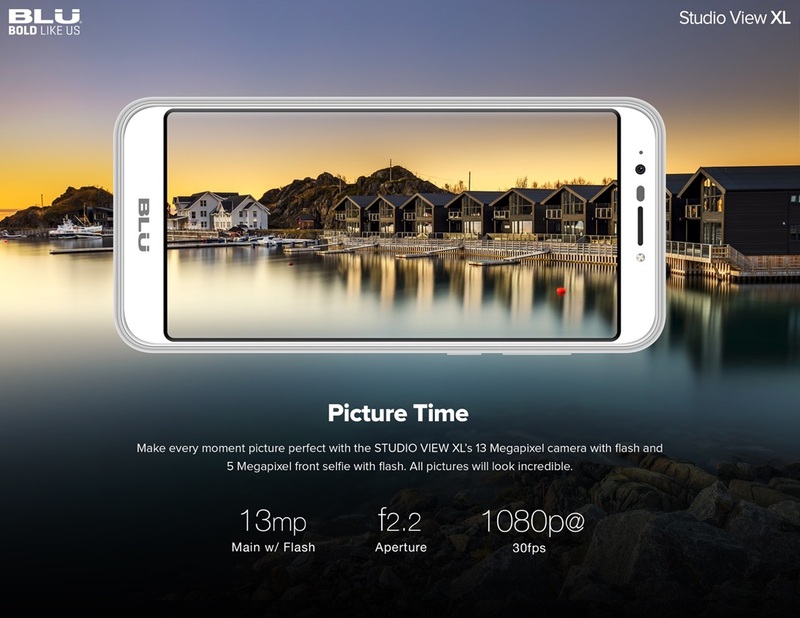 Take endless selfies with the STUDIO VIEW XL’s 5 Megapixel camera. No matter the time, place or environment, the front selfie camera with flash assures all your self portraits look perfect every single time. With a 3,000mAh Super Battery, the STUDIO VIEW XL assures your smartphone will have the necessary charge for all day and than some. Needing a charge in the middle of your busy work day will be a thing of the past. Total security and convenience will be epitomized by the STUDIO VIEW XL.Unlock your smartphone with the certainty that all your files are secure and safe with the press of your finger.